Events and PR have built their business on helping local SMEs to celebrate success. Starting off providing events and PR services, the company has turned its attentions to its niche – business awards. With the support from Velocity Growth Hub, Damian Cummins, Awards Director and his team have just launched new SME National Business Awards and initial feedback is excellent. Following a meeting with Emmanuelle who explained the Velocity Growth Hub’s programme, he realised there was support available to help his growing business to capitalise on their ideas. 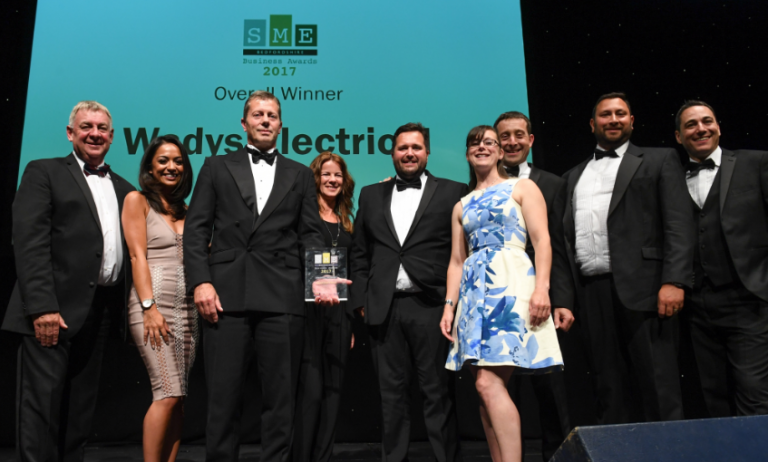 Events and PR have built on the success of their local SME awards in Northamptonshire and Bedfordshire. Initially, Emmanuelle helped to get the word out to local businesses to not only enter, but go on and win awards. Recognising a training need, the company’s apprentice Georgia Green attended a Velocity fully-funded workshop on social media, helping them to develop their business skills and successfully secure a position at the company as a full-time employee. “All of this is made possible by the support from Velocity Growth Hub.” he added. What’s next for Events and PR? “Firstly, we’ll look to franchise out our awards. We have other awards schemes within a niche market ready to explore once our current awards have bedded in.” Damian concluded. The Velocity Growth Hub business support programme is part-funded by the European Regional Development Fund. The Growth Hub offers one-to-one business support and advice provided by a professional business adviser through which, businesses with aspirations to expand and grow local jobs can access fully-funded skills workshops and a grant programme.